Bavaria Filmstadt – Sunshine. Whimsy. Tacos. Last weekend, while I was about 85% recovered from the touch of cold-flu-whatever, I had my first guest visit from the US, my friend Lorrie. 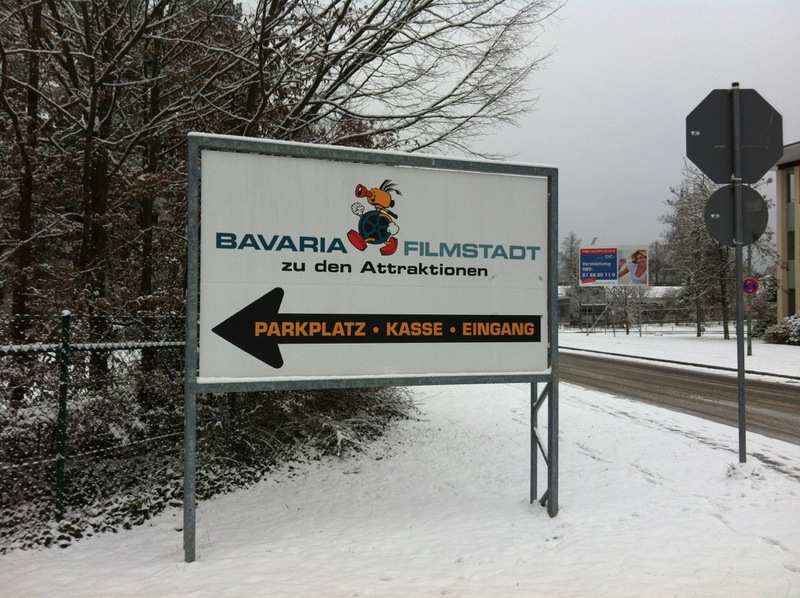 We’re both fans of movies and television, so we decided to visit Bavaria Filmstadt, a working film and television studio on the outskirts of Munich. I had only just learned of the film studio’s existence, but I’ve seen a lot of their work. 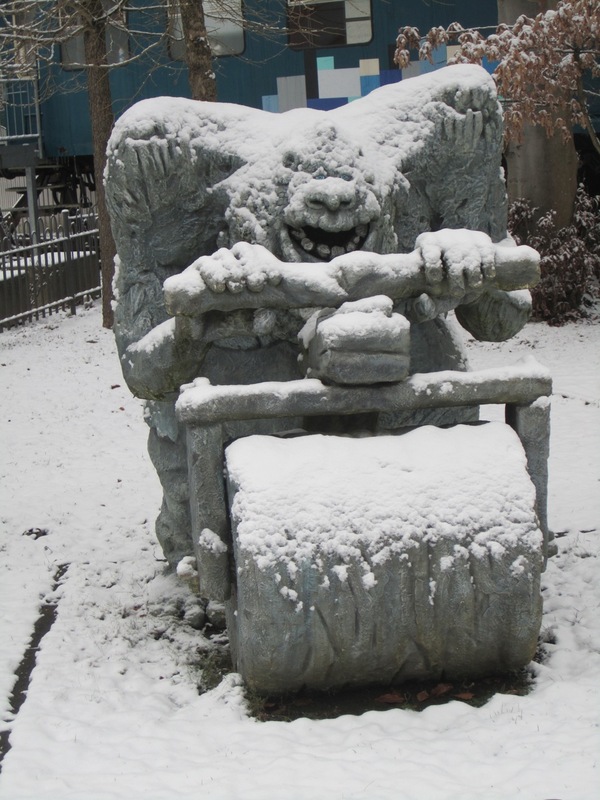 I suspect most of you have seen stuff from Bavaria Filmstadt too. To get to the studio from the Hauptbahnhof, we first took a U-Bahn for part of the way, and a Tram for the last part of the trip. The tram deposits you within walking distance (about half a kilometer) from the main gate. The studio is clearly marked. This first sign pointed us in the right direction, and a series of smaller signs told us when we got 400 meters away from the main gate, 300 meters away, and so forth. We elected to do the tour and the 4d movie, but not Bullyversum, since a) the tour was in German and Lorrie speaks only English, b) she had never seen any Bully movies, and c) neither one of us was particularly interested in that part of the park. As it was, the tour and the 4d movie would take up about two hours of daylight, leaving us with little time to see anything else in Munich. Once we paid our admission and tour fees, we had a short wait for the tour to begin. This gave us a chance to pop into the studio’s McDonald’s for a quick beverage- tromping around in the snow is thirsty work. We also went into the studio’s gift shop, which was McDonald’s adjacent. There were three things I nearly purchased. 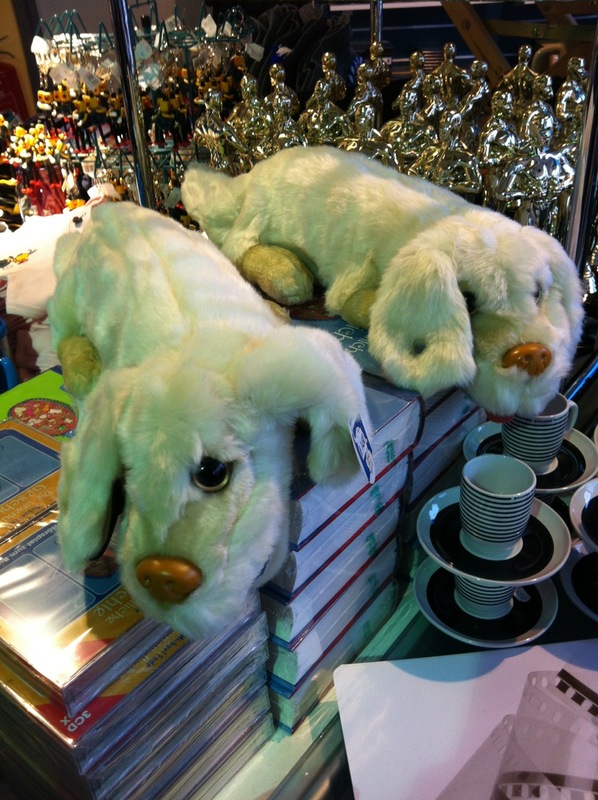 The first was a plush Falkor from The Neverending Story. He was so soft! The second thing I nearly purchased was an Auryn, also from The Neverending Story. 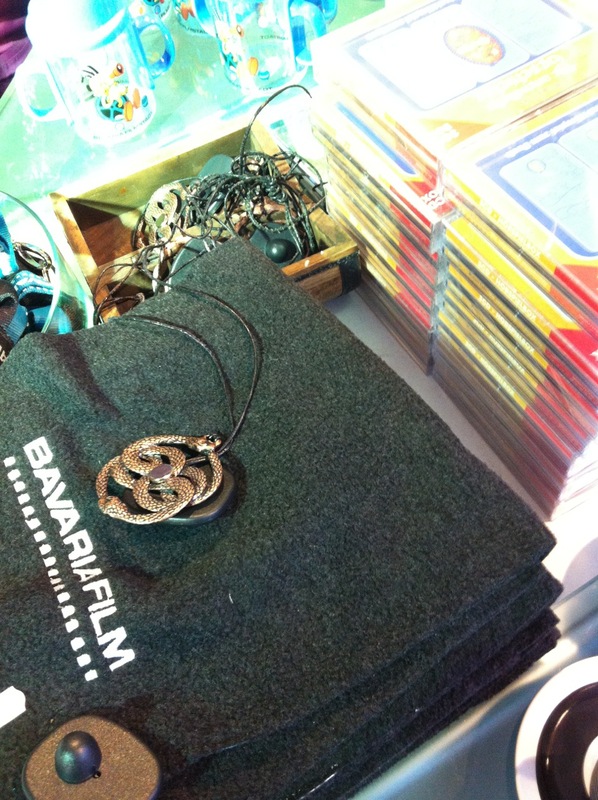 After all the trouble they went to to find the Auryn in the movie, it turns out there’s an entire box of them for sale in Munich! The third thing I nearly purchased in the gift shop was a uniform shirt from Traumschiff Surprise. 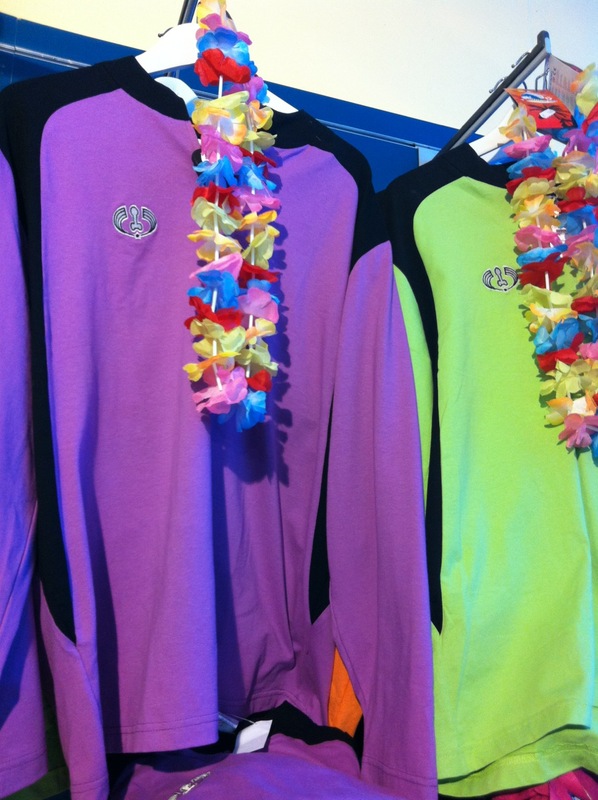 They were surprisingly high quality, and there’s something fun about a dayglow color like that. After a few minutes wandering around the gift shop, the group started to gather for the tour. We moved outside to be with that group, and to look around at some of the scenery in the waiting area. There was a large model of the submarine from Das Boot, as well as a section of the spacecraft from Enemy Mine. Before much longer, it was time for the tour to begin. 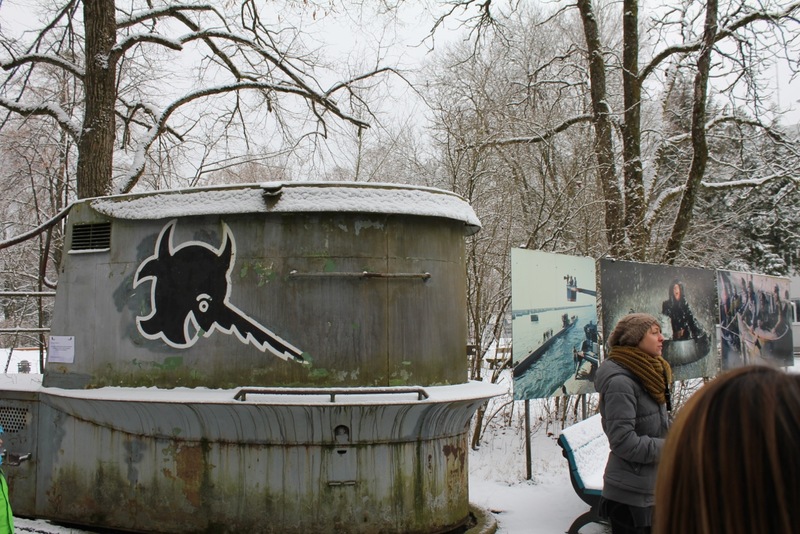 Parts of the tour went into hangar style buildings, but a great deal of it involved being outside in the snow. In hindsight, this was not an ideal winter activity. 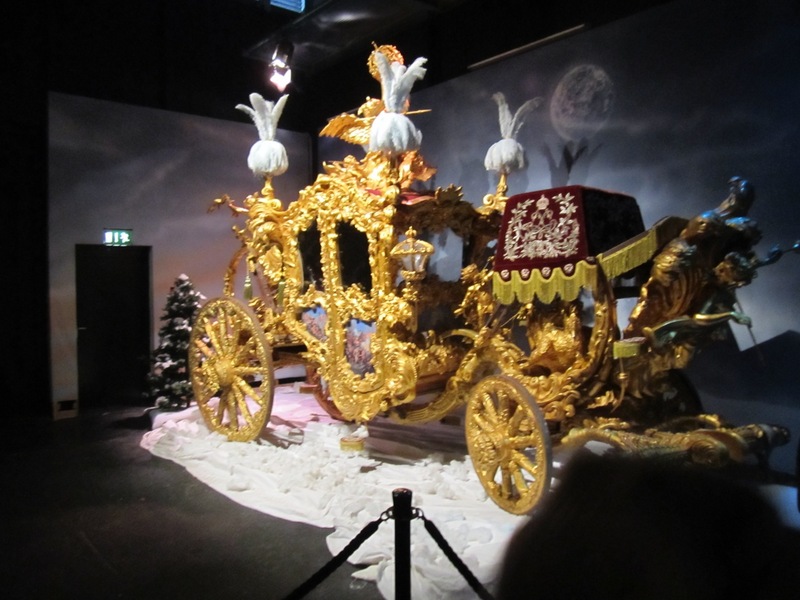 The golden carriage below is from a current theatrical release, Ludwig II, which is about King Ludwig the second of Bavaria, the man responsible for many impressive buildings and monuments all over Germany. 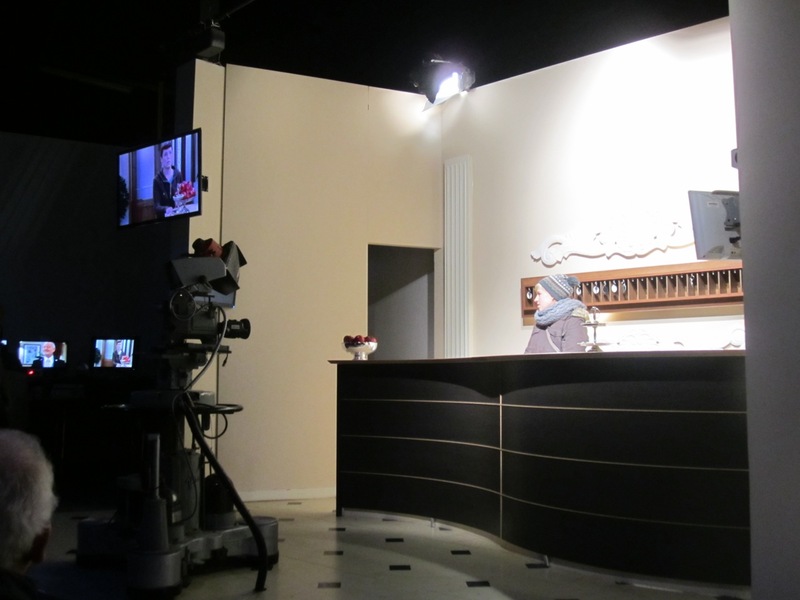 One part of the tour allowed someone to re-enact a scene from a popular German television show. 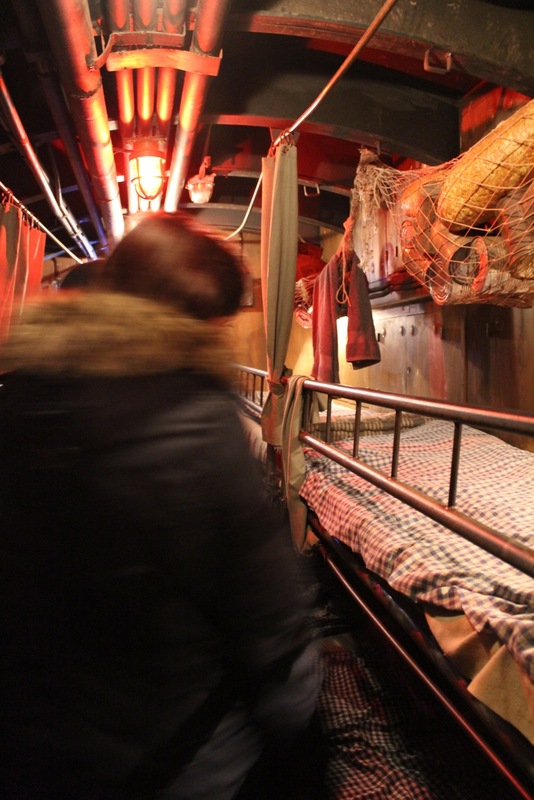 One of the big set-pieces of the tour was the Das Boot section. 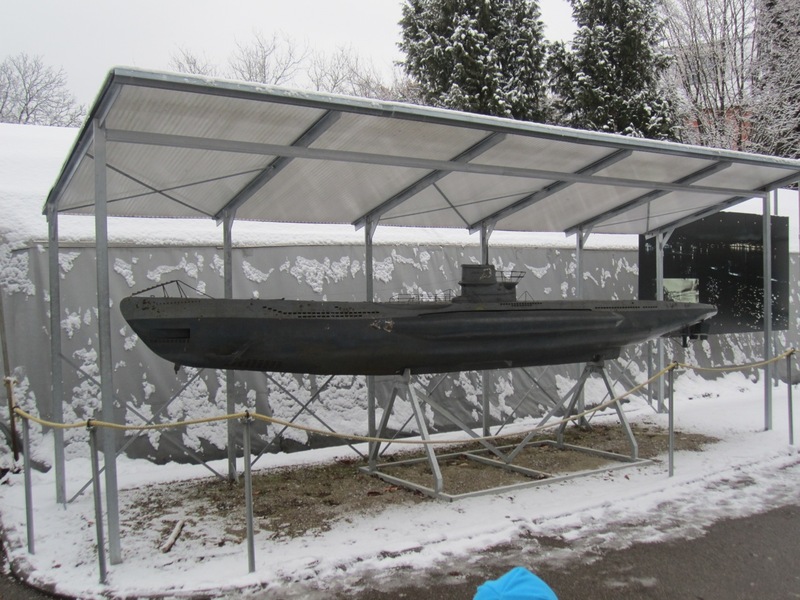 There were numerous models of the submarine in various sizes, including a life-sized tower. 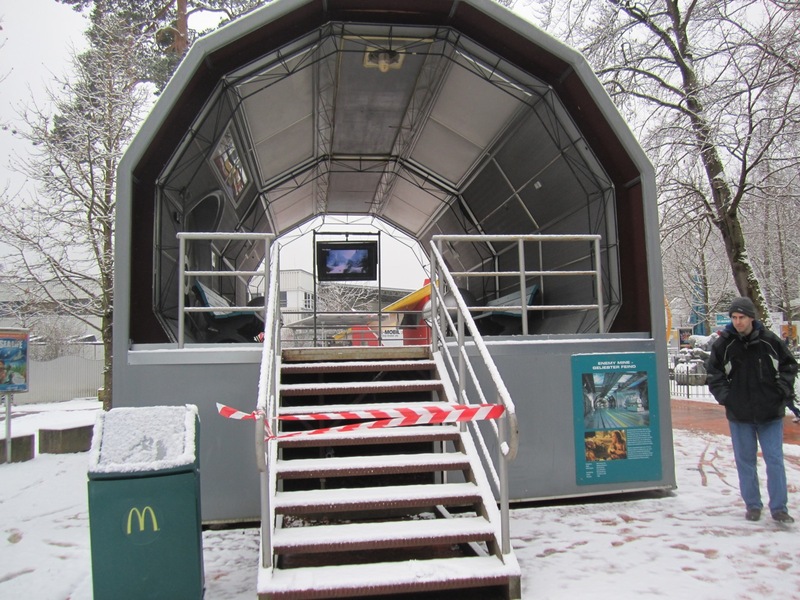 In addition, you can walk through the interior of the sub. This was originally done in three side-by-side sections on a gimbal so that motion could be simulated realistically. It has now been layed out in one single track that you walk through. You can see engineering, sleeping quarters, and the conn with a periscope. This is not for the claustrophobic. Also present were the original matte painting of the Ivory Tower, and the models used for the Southern Oracle. …but really, I’m just a big kid, and I couldn’t resist a shot. Plus, as a bonus, you can see in the monitor behind my hand what it looked like with the bluescreen composite. The 4d movie, when we got to it after the tour, was a full experience ride with 3D glasses that lasted about five minutes. 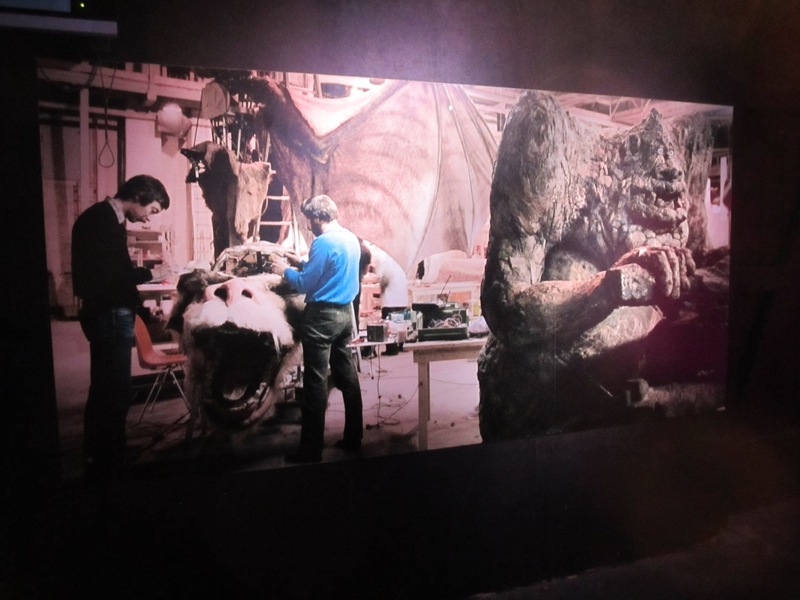 It was entertaining, but not as cool as the life-sized Falkor model. Are any of the movies or shows produced at Bavaria Filmstadt in your favorites? I love that last pic. You’re such a dork. LOL. Tell me you wouldn’t have done the same thing. But I’ll have to wait until I’m over this cold/flu thingy too. It is probably the worst I’ve felt in 2 years. Glad you’re feeling better and that your friend got to make the trip! I recommend waiting until the snow and ice break off and the temperatures are back above zero. Large parts of this tour are outside. It’s really better as a warmer weather attraction. Gah!! 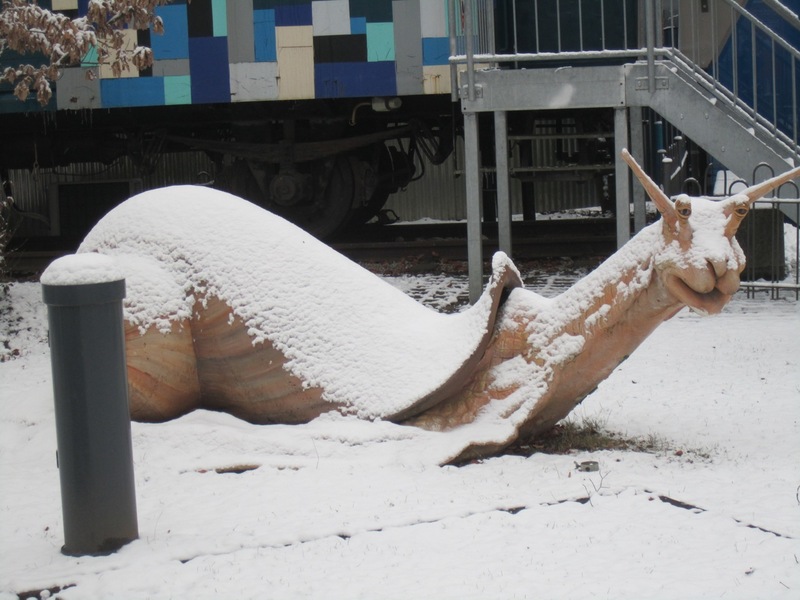 I have GOT to go there on our next trip to Munich!! ahh this is amazing! Never Ending Story was one of my FAVORITE films as a kid. I’ll have to check this out! So jealous of your photo with Falkor!!! It was one of my favorites as well. You can kinda tell by the level of detail in my descriptions of the Neverending Story stuff. Whoa – had ZERO idea this place existed, fun stop! I only learned of its existence about three weeks ago myself. 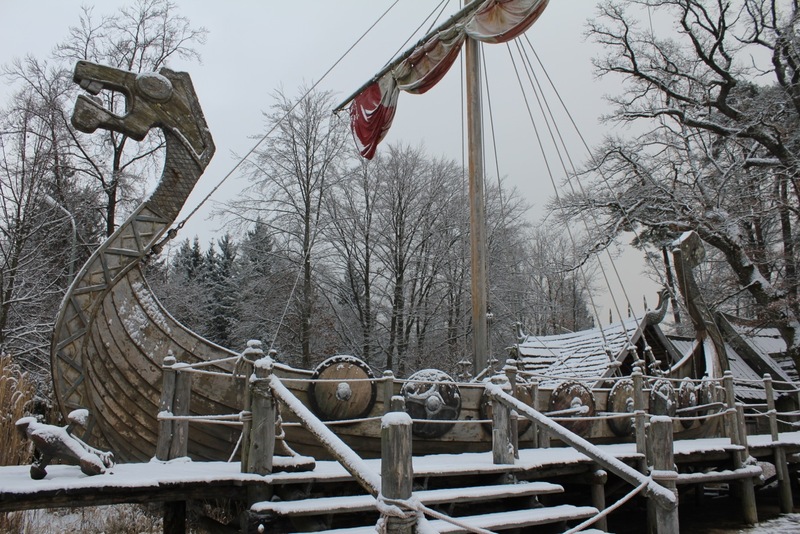 That place has been on my list ever since one of my students mentioned the Falkor that you can ‘ride’. So awesome…. I think I’d have to skip the Das Boot part though because that movie scarred me for about a week, I don’t think I could handle getting in the actual submarine! Yeah, they mentioned that it wasn’t ideal for people who have a problem with small spaces. Walking along the outside of it and meeting the group at the exit point was an option. It was *very* close quarters. 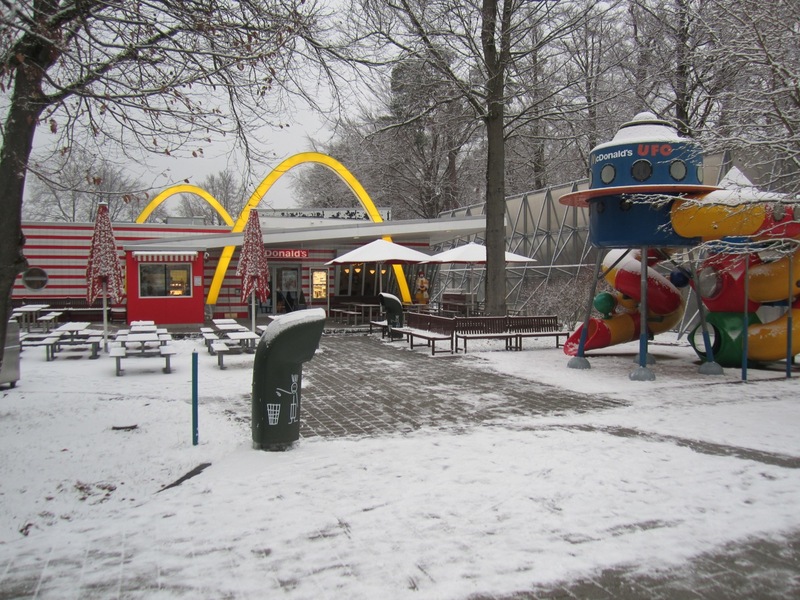 Compared to McDonald’s in the states (which I have pretty much written off as “I’d rather be hungry than eat there”), how does the German version compare? Mostly the same, but the regional menus have temporary foods on them that I’ve never seen in the states. The biggest difference, honestly, is that the tomatoes and so forth are grown closer to here, so they’re a different variety than they use in the US. This changes the texture and flavor slightly. Also, when you get french fries here, they ask whether you want ketchup or mayo with your fries. Mayo is a more common french fry dipping option here.